The USC Black Alumni Association will dedicate a scholarship to celebrate the life and legacy of Victor McElhaney, the music student who was killed in an off-campus shooting earlier this month. 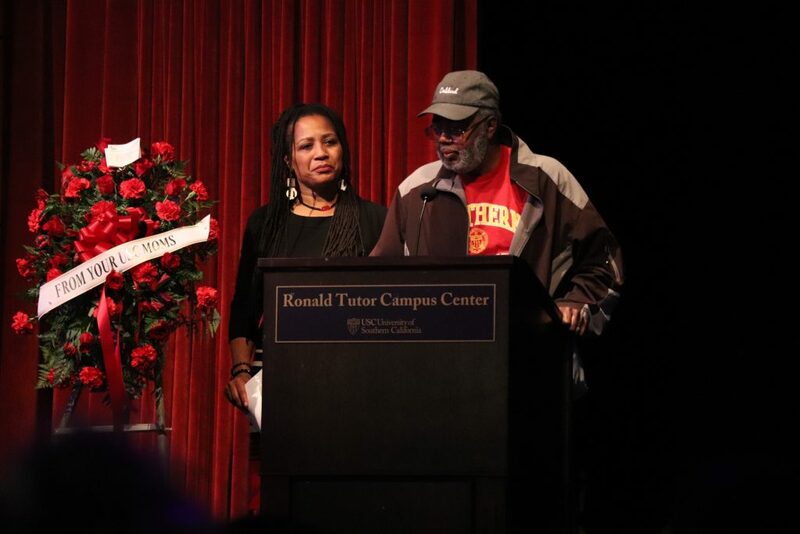 Michèle Turner, the executive director of the USC Black Alumni Association, announced the scholarship news during McElhaney's memorial Tuesday night. About 700 people gathered in the Ronald Tutor Campus Center Ballroom for the 21-year-old's memorial. Turner said the scholarship will be a minimum of $3,000. They will decide by June if the scholarship amount can be increased. Turner, who knew McElhaney, told Annenberg Media that the music student would want the scholarship to be open to students with diverse interests. "Because our scholarships benefit black student specifically, I think it keeps with Victor's spirit," she said. 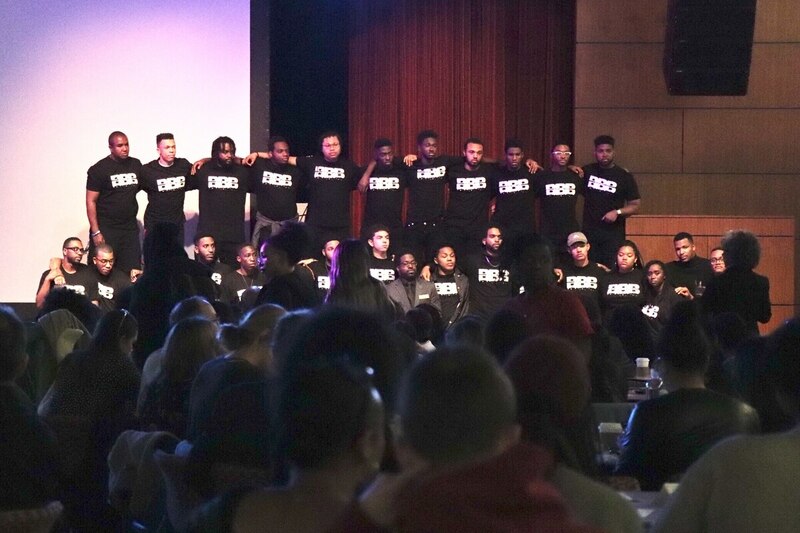 The memorial was organized by the Center for Black Culture and Student Affairs, USC Thornton, USC Black Alumni Association, Black Student Assembly and Brothers Breaking B.R.E.A.D. (Barriers, Regrets, Egos, Animosity and Doubt). McElhaney was co-president of Brothers Breaking B.R.E.A.D., a discussion group tailored to African American male students. The group, also known as BBB, created free T-shirts in honor of McElhaney. The T-shirts feature the BBB logo, drumsticks and a 'V' for Victor. "The inspiration behind the logo was that Victor was in love with music," said Donovan Spencer, former co-president of BBB. "… Victor was in love with BBB. It was something that he was very proud to be a part of and proud to lead. We want to make sure that he knows, even in the afterlife, that he was valued and loved. You know, we're going to carry on his legacy." Friends and bandmates performed poems and arrangements made by the young drummer. Gracie Gebreselassie performed a poem entitled "We Needed You." "Our contemplations about life and love, and God and Earth and music, but now they're all just memories. Our musings have been muted. Every moment that we had, every time you made me laugh, every hug, every argument that really was a discussion and now I can't believe that all of that has been interrupted," she wrote. Aaron Serfaty, who taught McElhaney drums at Thornton, played McElhaney's part in a jazz arrangement the student created of the Jackson 5 song, "Never Can Say Goodbye." "The Tuesday before spring break, he was very excited with the material we were covering. He was so excited, he was actually jumping up and down on the drum seat," Serfaty told Annenberg Media. His father, Clarence McElhaney thanked those who performed and spoke about his son's belief that music could be the catalyst for social change. BBB is planning another event to honor McElhaney in the near future. 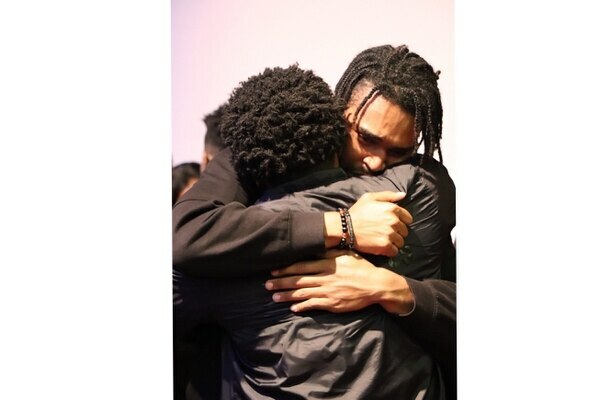 The McElhaney family is planning a memorial in Oakland and a GoFundMe page started by Building Opportunities for Self-Sufficiency, an east bay non-profit, has raised over $74,400 to help the family pay for the memorial expenses. The Los Angeles Police Department has not identified any suspects responsible for McElhaney's death.